Fox News referred to El Salvador, Honduras, and Guatemala as ‘3 Mexican countries’ during this segment. 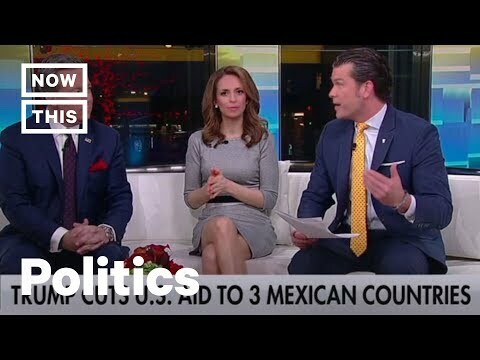 In US news, Fox News Channel made a major mistake when it labeled El Salvador, Honduras, and Guatemala as '3 Mexican countries' on air. President Trump and the Trump administration at the White House recently made the decision to stop US aid to those countries. Illegal immigration reform experts believe that this will only increase the amount of undocumented immigrants and asylum seekers coming to the US Mexico border. Donald Trump's solution to this border security problem has been a border wall (the Trump wall) to help an overloaded border patrol.